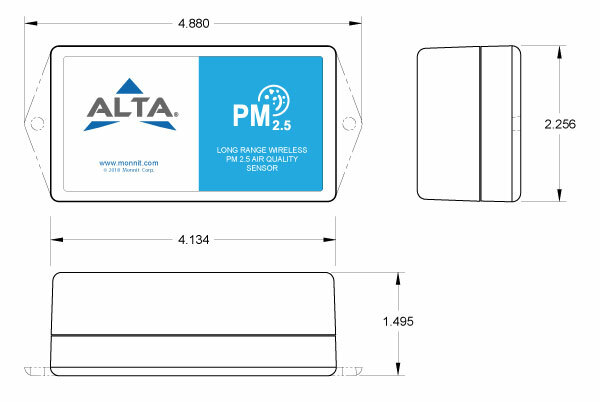 The ALTA wireless PM2.5 sensor measures PM1, PM2.5 and PM10 concentrations in the air and transmits the measurement to iMonnit. 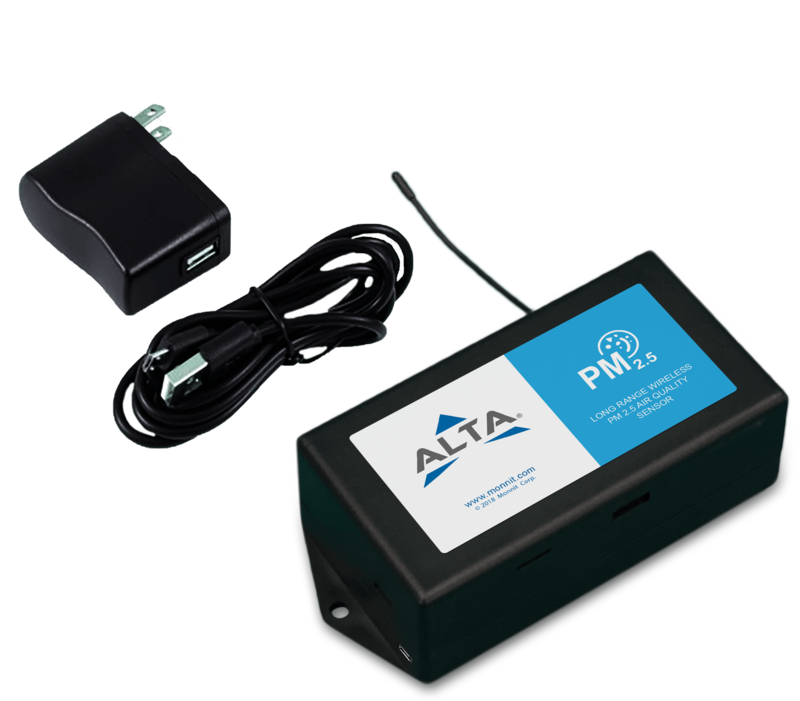 The PM2.5 sensor works by turning on a small fan at the beginning of a measurement cycle to bring in a volume of ambient air and measuring the particulate matter (PM) content of that sample volume. The sensor measures PM content using a laser that scatters based on the number and size of particles suspended in the air. It is important to keep the inlet ports of the sensor clear to ensure proper readings.